Among many facts borrowed from the Cthulhu Mythos and adopted for the Simon Necronomicon, the idea that it originated from the pen of a “Mad Arab” named Abdul Alhazred is entirely Lovecraftian, indicated nowhere within the text of the Necronomicon aside from the editor’s commentary and again in regards to the work of H.P. Lovecraft. This kind of logic is attacked by critics and used to undermine the true ‘between-the-lines’ message the Simon Necronomicon carries in reviving interest in the post-Sumerian “Mardukite” or Babylonian archetypal methodology (or systemology). d) — therefore: the Simon Necronomicon is written by the “Mad Arab” Abdul Alhazred in 8th century Damascus. QED. …such thinking is obviously flawed. of language, civilization and ultimately ‘religion,’ it had grown or evolved, fragmented with time into something very different by the time of the Necronomicon’s alleged beginnings in 8th century Babylonia. We are meaning 800 years after the birth of Jesus Christ, long after the decline of true ‘paganism’ in the name of some new ideal or another (not always ‘Christian’). ‘Paganism’ as a rural folk tradition is not really even what the original archetypal Anunnaki system is about – being a national religion – but it is certainly a starting place for later ‘country’ beliefs and surviving remnants of ancient wisdom in the wake of later urban Christianization. 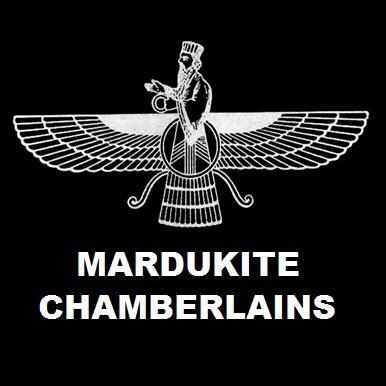 But, the beautiful harmony of the ‘complete system’ was ever lost to the public for thousands of years until relatively recently in light of the intensive and rigorous work being (and having been) conducted by the Mardukite Chamberlains in their post-modern next generational relay of the Anunnaki legacy in total. By the time of the 8th century, paganism, witchcraft and the contemporary idea of magick and occultism was not looked ‘highly’ upon by global society, not only as a result of rising Christianity but also in accord with the growth of the new Arabic and Middle Eastern religions that had formed thousands of years after the inception of the Babylonian tradition. The “Old Ways” were shunned regardless of their increased clarity and advanced nature. According to its author, the Necronomicon is the “Book of the Dead” and also the “Book of Black Earth,” which is a reference to the “Magan” lands (or Arabian Desert) that separates Mesopotamia from Egypt. Further, it is suggested that the knowledge therein is comprised of what was learned while ‘traveling’ on the ‘spheres’ of the Igigi – meaning “Watchers” or “Guardians” (sometimes referred to as “overseers”) that were a subservient class of Anunnaki being. The Igigi were akin to ‘angels’ or ‘messengers’ whereas the Anunnaki proper composed the actual ‘pantheon’ of the ‘gods’. DISCOVER EVEN MORE ABOUT THE NECRONOMICON IN THE LIBRARY OF THE MARDUKITE LEGACY! This Mardukite NecroGate blog post is officially excerpted from “Crossing to the Abyss” by Joshua Free.